If you’re interested in updating the look and value of your home, turn to us for a flooring upgrade. We have many types of materials available for any room in your home. A popular choice for many homeowners is our hardwood flooring in Gurnee, IL. Wood floors have been used in houses for centuries--and in many homes throughout the country, you can still find original hardwood that has stood the test of time. This speaks to the material’s incredible durability. But this type of floor covering isn’t just strong; it’s also gorgeous. By adding hardwood in your living space, you can create a more inviting atmosphere that matches your décor. Both solid and engineered hardwood flooring are easy to clean. Because they feature a smooth surface, it is easy to just sweep away dirt, dust, and debris. Because it doesn’t trap common allergens, this material is ideal for those who suffer from allergies or have pets. Even if you’re already set on a hardwood flooring installation, there are still many options to consider. The first step is deciding whether solid or engineered wood floors are best for your lifestyle. Our knowledgeable staff is happy to explain the differences between both options, including their various unique benefits. In addition to determining the type of hardwood that would best fit your space, our sales and design specialists help you choose the perfect style to complement the rest of your home. There are so many stains, plank sizes, and wood species available that it’s easy to find something to fit your décor. From a traditional smooth, glossy finish to something more rustic, we are ready to help you bring your vision to life. Dedication to excellent customer service is our top priority, which means we offer everything you’ll need to make your renovation a complete success. Our wide variety of options ranges from traditional to modern. By offering any wood flooring you could want and unparalleled installation services, we have you covered from the beginning of your project to the last plank. 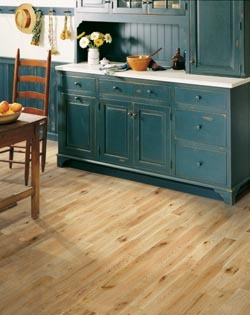 Mohawk flooring offers reclaimed engineered wood options for our environmentally conscious customers. Shaw offers their Epic engineered and EPIC Plus options for the customer seeking ultimate durability. Downs has offered their luxury styles to discerning customers since 1865. With these exceptional products to choose from, you’re sure to find the flooring of your dreams. When you visit our showroom, you’ll find samples of both engineered and solid wood floors. They both look great and come in a variety of style options--so how do you choose which one is right for your particular needs? Our professionals are here to help. We take the time to listen to your design goals. Depending on factors like your budget, the rooms you plan to remodel, and expectations of your new floors, we can help you choose the best option for your home. There are many advantages to having beautiful solid hardwood flooring in your home. According to many designers and homeowners, the enduring beauty of wood floors simply cannot be surpassed by any other type of flooring. It’s also a great investment for homeowners who plan to stay for many years since they can be sanded and refinished. When wear eventually begins to show, it’s a relatively simple matter to have solid wood floors refinished – and then you have a whole new floor once again. Engineered hardwood flooring is made differently than solid planks. Instead of being constructed from just one piece of wood, it’s crafted from different types of wood that are pressed together in the manufacturing process. This leads to a product that is less prone to warping and other damage from humid environments, making it more suitable than solid wood in rooms like kitchens and bathrooms. Proper hardwood flooring installation is as important as the quality of the floors you purchase. That’s why it’s important to leave it to experienced professionals. By choosing our technicians for your installation, you can improve both the beauty and longevity of your new floors. Additionally, professional installation techniques like ours let you enjoy floors that are easier to maintain. Our licensed hardwood flooring installation professionals are dedicated to creating a work of art that will be a point of pride in your home for many years to come. We want our customers to be as confident in our work as we are, so we also offer a Lifetime Installation Guarantee on all of the floors we install. If you ever have any problems related to the installation, we’ll fix it at no charge to you. Our Lifetime Installation Guarantee is part of our Ultimate Confidence Guarantee, which is comprised of industry-best warranties and guarantees. The Ultimate Confidence Guarantee also includes the Confidence Plus Warranty. This promise applies to select 4-Star and 5-Star hardwood flooring products. With this warranty, you have 30 days to live with your new floor. If you don’t absolutely love it in that time, we’ll replace it without charging for additional labor. Our goal with the Ultimate Confidence Guarantee, as well as with our range of products and services, is to ensure you love your new floors. So when you’re ready to upgrade your living space, visit our showroom. Contact us today to learn more about why one of our gorgeous hardwood floors is right for your home. We proudly serve customers in Gurnee, Illinois, and the surrounding Lake County, McHenry County, and Northern Cook County areas.